Argosy Students, Take Advantage of Your Benefits Today! Trident University ("TUI") respects the privacy of every individual visiting our websites or responding to our promotions. To better protect your privacy we provide this notice explaining our online information collection and use practices and the choices you can make about the way your information is collected and used. Unless otherwise posted, this notice applies to all information collected or submitted on the TUI websites. TUI will not collect any personally identifiable information such as your name, address, telephone number, or email address. You may provide your information voluntarily but are not required to do so. If you do enter personally-identifiable information through our website or any mobile application, we may use it to contact you; process your application or enrollment requests; store and process the information to better understand your needs; and improve our products and services. TUI will NOT give or sell your individual information to any outside entity for marketing or solicitation purposes. We will maintain the confidentiality of your personal information and use it to support your relationship with Trident University. Any personal information collected online will remain confidential, and not disclosed without your consent unless disclosure is required by law, or required to governmental and nongovernmental agencies that regulate our activities, including but not limited to the U.S. Department of Education, the Senior College and University Commission (WASC), state agencies, the U.S. Department of Veterans Affairs, the US Department of Defense, other federal agencies, and/or the various military service branches. We occasionally conduct online surveys. Your responses are confidential and will be used for statistical analysis only. Any disclosure or publication of results will be in aggregate form only. We collect IP addresses for the purpose of system administration and to report aggregate information. We monitor aggregate information such as the number of unique users who visit certain sections of our site. This information is not personally identifiable and is used to improve our site. In some cases, we may collect information about you that is not personally identifiable. Examples of this type of information include the Internet browser you are using, the type of operating system, and the domain name of the website that linked you to our site. Please refer to your browser instructions or Help screen to learn more about these functions. When you make an inquiry, submit an application or enroll in a course, we use your information to process your request. We may need to contact you if we have questions regarding your enrollment. Occasionally we contact people who inquired, applied or enrolled, to obtain information about their experience. If you are not comfortable enrolling online or submitting a form containing personal information via the Internet, you have the option of communicating with us via the contact information below. If you are a student, you may also refer to: (a) your rights under the Family Educational Rights and Privacy Act of 1974, as amended ("FERPA"); and (b) the University's policy on retention of records as published in the Policy Handbook of the University Catalog. Thank you for choosing to visit the Trident University International website. These website Terms of Access and Use apply to your access to, and use of, the University’s website located at www.Trident.edu, as well as any other Trident University-controlled sites or webpages, regardless of domain name or IP address (collectively “Site” or “Sites”) and features and applications accessible through, or in connection with, the Sites (collectively the “Services”). 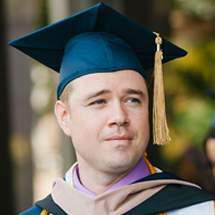 Further, these Terms of Access and Use are in addition to the terms or conditions of any other agreement you may have with the University, or its subsidiaries or affiliates, for products, services or otherwise, including, without limitation, terms, conditions and policies relating to the courses and educational programs provided by Trident University. PLEASE READ THESE TERMS OF ACCESS AND USE CAREFULLY AS THEY CONTAIN IMPORTANT INFORMATION REGARDING YOUR LEGAL RIGHTS, REMEDIES AND OBLIGATIONS. BY ACCESSING OR USING ANY OF THE SITES OR THE SERVICES, YOU ARE ENTERING INTO A LEGAL CONTRACT WITH THE UNIVERSITY, THE TERMS OF WHICH GOVERN YOUR USE OF THE SITES. ACCORDINGLY, BY YOUR ACCESS OR USE YOU AGREE TO BE BOUND BY THE TERMS AND CONDITIONS DESCRIBED HEREIN AND ALL ADDITIONAL TERMS INCORPORATED BY REFERENCE. IF YOU DO NOT AGREE TO ALL OF THESE TERMS, DO NOT USE THE SITES OR THE SERVICES. IF YOU HAVE QUESTIONS ABOUT THE TERMS OF ACCESS AND USE CONTACT TRIDENT UNIVERSITY THROUGH (INSERT CONTACT INFORMATION OR HYPERLINK). It is Trident University’s goal to provide an exceptional experience to students, prospective students and anyone interested in the University. We monitor the website regularly to maintain this standard. We currently follow the W3C’s Web Content Accessibility Guidelines (WCAG) 2.0. These guidelines help make web content more accessible for people with disabilities, as well as more user-friendly for everyone. If you experience any issues whatsoever during your visit to Trident.edu, please contact us at 1-800-451-2269. We will immediately take corrective action and provide information as appropriate. (b) That the Trident University website may be interrupted for maintenance and repairs, or for any other reason and that access to any content cannot be, and is not, guaranteed. (c) In the event that any content or part of the website is not accessible by you for any reason, you hereby agree to contact Trident University immediately, informing Trident University of access issues, allowing Trident University to take appropriate action and steps to provide you access. Trident University reserves the right to change or modify any of the terms and conditions contained in the Terms of Access and Use or any Additional Terms of the Sites, at any time and in its sole discretion. If the University changes or modifies these Terms of Access and Use, the University will post the changes to these Terms of Access and Use on the Sites and will indicate at the top of this page the date these Terms of Access and Use were last revised. Any changes or modifications will be effective immediately upon posting of the revisions to the Sites, and you waive any right you may have to receive specific notice of such changes or modifications. Your continued use of any of the Sites or the Services following the posting of changes or modifications will constitute and confirm your agreement to and acceptance of such changes or modifications. It is your responsibility to regularly check this Site to determine if there have been changes to these Terms of access and Use and to review such changes. If you do not agree to the amended terms, you must stop using the Sites and the Services. (j) use the Sites, the Site Materials or the Services other than for its intended purpose. Any use or attempted use of the Sites, the Site Materials or the Services other than as specifically authorized herein, without the express prior written permission of Trident University is strictly prohibited and will, among other things, terminate the license granted herein. Such unauthorized use or attempted use may also violate applicable laws, including without limitation, copyright and trademark laws and applicable communications regulations and statutes. Except as explicitly stated herein, nothing in these Terms of Access and Use or any applicable Additional Terms shall be construed as conferring any license to any intellectual property rights, whether by estoppel, implication or otherwise. This license is revocable at any time, in Trident University’s sole discretion. You may not use the University logo or other proprietary graphic of Trident University for any purpose without the express prior written permission of Trident University. Further, you may not use, frame or utilize framing techniques to enclose any University trademark, logo or other proprietary information, including the images found at the Sites, the content of any text or the layout/design of any page or form contained on a page on the Sites without Trident University’s express prior written permission. Except as expressly stated above, you are not conveyed any right or license by implication, usage, custom, estoppel or otherwise, in or under any patent, trademark, copyright or proprietary right of the University or any third party. Trident University may, at its sole discretion, limit access to the Sites and/or terminate the accounts of any users who infringe upon any intellectual property rights of others, whether or not there is any repeat infringement. Further, in accordance with the Digital Millennium Copyright Act (DMCA) and other applicable laws and regulations, Trident University will terminate, in appropriate circumstances and at the University’s sole discretion, users, subscribers or account holders who are deemed to be repeat infringers. Notwithstanding the foregoing, users who are students of Trident University will also be subject to the policies and procedures set forth in the Policy Handbook of the University Catalog. a) A physical or electronic signature of a person authorized to act on behalf of the owner of the exclusive right that is allegedly infringed. b) Identification of the copyrighted work claimed to have been infringed, or, if multiple copyrighted works at a single Site are covered by a single notification, a representative list of such works at that Site. d) Information reasonably sufficient to permit our or our designee’s contact with the Complaining Party, such as a current, valid address, telephone number, and, if available, an electronic mail address at which the Complaining Party may be contacted. Upon receipt of such notification and verification, Trident University will remove or disable access to such material and give notice of a claim of copyright infringement to the user or subscriber who authored the claimed infringement by means of any one or more of the following methods at the University’s sole option: a general notice on the Sites, electronic mail to the content provider’s email address in our records, or by written communication sent by first-class mail to such user’s postal address in our records. (a) A physical or electronic signature. (c) A statement under penalty of perjury that you have a good faith belief that the material was removed or disabled as a result of mistake or misidentification of the material to be removed or disabled. (d) Your name, address, and telephone number, and a statement that you consent to the jurisdiction of Federal District Court for the judicial district in which your postal address is located, and that you will accept service of process from the Complaining Party who submitted the infringement notification or his, her or its principal or agent. Upon receipt of such counter notification, Trident University will promptly provide the Complaining Party that provided the notice of claimed infringement with a copy of the counter notification, and inform the Complaining Party or entity that the University will replace the removed material or cease disabling access to it in 10 business days. The University will replace the removed material and cease disabling access to it between 10 and 14, business days following receipt of the counter notice, unless the Office of Compliance and Regulatory Affairs first receives notice from or on behalf of the copyright owner that such person or entity has filed an action seeking a court order to restrain the subscriber from engaging in infringing activity relating to the material on our Site(s). No logos or any other product or service name or slogan contained in the Sites may be copied, imitated or used, in whole or in part, without the express prior written permission of Trident University or the applicable trademark holder. You may not use any meta tags or any other “hidden text” utilizing “Trident University” or “Trident University International” any other name, trademark or product or service name of the University without our express prior written permission. In addition, the look and feel of the Sites, including all page headers, custom graphics, button icons and scripts, is the service mark, trademark and/or trade dress of the University and may not be copied, imitated or used, in whole or in part, without our express prior written permission. All other trademarks, service marks, logos, and product names published on the Sites are the property of their respective owners. Reference to any products, services, processes or other information, by trade name, trademark, manufacturer, supplier or otherwise does not constitute or imply endorsement, sponsorship or recommendation thereof by Trident University. Trident University makes no claim or representation regarding, and accepts no responsibility for, the quality, content, nature or reliability of third-party web sites accessible by hyperlink from the Sites, or web sites linking to the Sites. Such sites are not under the control of Trident University and the University is not responsible for the contents of any linked site or any link contained in a linked site, or any review, changes or updates to such sites. Trident University provides these links to you only as a convenience, and the inclusion of any link does not imply affiliation, endorsement or adoption by Trident University of any site or any information contained therein. When you leave the Sites, these Terms of Access and Use will no longer govern your Internet browser session. Your use of any site to which you navigate from the Sites will be subject to that site’s terms of access and use, if any, and its privacy and data gathering policies. It shall be your sole responsibility to review the applicable terms and policies, including privacy and data gathering practices, of any site to which you navigate from the Sites. In addition to official pages on the Sites containing the content of Trident University in support of the University’s mission and vision, our Sites may include third party content on the Sites and may provide links to web pages and content of third parties (collectively the “Third Party Content”) as a service to those interested in this information, including content and views of various individuals such as employees, students, faculty, alumni or members of the public. The views expressed in such Third Party Content should not be construed as representing the views of Trident University. In addition, the Sites may include certain applications, features, programs and services provided by third parties (the “Third Party Applications”). Trident University does not monitor Third Party Content or Third Party Applications and can make no guarantee as to the accuracy or completeness of such Third Party Content or Third Party Applications. Trident University is not responsible or liable in any manner for any Third Party Content or Third Party Applications, or for any loss, liability, harm or damages of any sort incurred as the result of your use thereof or access thereto, and makes no representations or warranties in connection with any Third Party Content or Third Party Applications, which at all times and in each instance is provided “as is.” Third Party Applications may be subject to additional terms and conditions or agreements between you and the provider of such Third Party Applications as may be provided to you in connection therewith, and you agree to fully comply with all such additional terms, conditions and agreements. Users use such Third Party Content and Third Party Applications at their own risk. The University may provide information about or links to third party products or services on the Sites or may run third party promotions on the Sites. Your business dealings or correspondence with, or participation in promotions of, such third parties, and any terms, conditions, warranties or representations associated with such dealings or promotions, are solely between you and such third party. Trident University is not responsible or liable for any loss or damage of any sort incurred as the result of any such dealings or promotions or as the result of the presence of such non-University advertisers or third party information on the Sites. The Sites or the Services may include public or restricted access discussion forums, blogs or other interactive areas or services (“Interactive Areas”), including chat rooms or message boards, online hosting or storage services, mobile applications, tablet applications, or other areas or services in which you or other users create, post or store any content, messages, materials, data, information, text, music, sound, photos, video, graphics, code or other items or materials on the Sites (“User Content”). Interactive Areas are provided “as is”. You are solely responsible for your use of such Interactive Areas and use them at your own risk. (h) User Content that, in the sole judgment of the University, is objectionable or which restricts or inhibits any other person from using or enjoying the Interactive Areas or the Sites, or which may expose the University or its users to any harm or liability of any type. By posting any User Content, you represent and warrant that you have the lawful right to distribute and reproduce such User Content. In addition, if you are a student at Trident University you have certain responsibilities with respect to your conduct as set forth in the “Policy Handbook”, the University policies regarding student use of computing resources and other applicable policies contained in the Trident University Policy Handbook which may be accessed via MyTLC student portal (https://mytlc.trident.edu/) or from our website located at http://www.trident.edu/catalog. Your conduct on the Sites is subject to and must fully conform with these policies. Violation of the policies published in the Policy Handbook may result in appropriate sanctions, as determined in the University’s sole discretion, in addition to any other consequence, penalty or liability that may result from such behavior. In the event of any conflict between these Terms of Access and Use and any policy in the University Policy Handbook or the University Catalog, the University policies shall take precedence. Notwithstanding the previous sentence, the University reserves the right to resolve any such conflicts in its sole discretion. You further agree not to access or attempt to access any Interactive Areas which you are not authorized to access or to provide or facilitate access to any nonpublic Interactive Area by any unauthorized user. Any use of the Interactive Areas or other portions of the Sites, the Site Materials or the Services in violation of these Terms of Access and Use, including the foregoing, may result in, among other things, termination or suspension of your rights to use the Interactive Areas and/or the Sites, the Site Materials or the Services. (c) use and posting of the User Content you supply does not violate these Terms of Access and Use and will not violate any rights of or cause injury to any person or entity. (d) accept all risks of unauthorized access to the Data and any other information you provide to the University. You acknowledge and agree that, except for User Content submitted in an Interactive Area, any materials, including but not limited to questions, comments, suggestions, ideas, plans, notes, drawings, original or creative materials, images or other information regarding the Sites, the Site Materials the Services or the University provided by you by participating in surveys hosted by the University, or any third party vendors, on the Sites or other sites, in the form of email, or any other submissions to the University, or any postings on the Sites, are non-confidential and shall be the sole property of the University, and that upon submission of such materials to the University you thereby assign without additional consideration all right, title or interest you may hold in such materials to the University. The University shall own exclusive rights, including all intellectual property rights, and shall be entitled to the unrestricted use and dissemination of these materials for any purpose, commercial or otherwise, without acknowledgment or compensation to you. Any software and all underlying information and technology downloaded or viewed from these Sites or in connection with the Services (collectively the “Software or Technical Data”) by you may be subject to U.S. export controls, including the Export Administration Act (50 U.S.C. Appx. §§ 2401 et seq.) and the Export Administration Regulations (50 C.F.R. Parts 730-774), and may be subject to export or import regulations in other countries. You are solely responsible for complying with all trade regulations and laws, both foreign and domestic, in your use and viewing of the Sites, the Site Materials and the Services, including without limitation, the Software or Technical Data. Except as authorized by law, you agree and warrant not to export or re-export the Software or Technical Data to any county, or to any person, entity, or end-user subject to U.S. export controls, including without limitation persons or entities listed on the U.S. Department of Commerce Bureau of Export Administration’s Denied Parties List and the U.S. Department of Treasury’s Specially Designated Nationals. You further represent and warrant that no U.S. federal agency has suspended, revoked, or denied your export privileges. The information contained within press releases issued by Trident University should not be deemed accurate or current except as of the date the release is posted. Trident University has no intention of updating, and specifically disclaims any duty to update, the information in any press releases. EXCEPT AS EXPRESSLY PROVIDED TO THE CONTRARY IN A WRITING BY TRIDENT UNIVERSITY, THE SITES, THE SITE MATERIALS CONTAINED THEREIN, THE SERVICES, AND ALL CONTENT MADE AVAILABLE ON, CONTAINED IN, OR ACCESSED THROUGH THE SITES ARE PROVIDED ON AN “AS IS” BASIS WITHOUT WARRANTIES OF ANY KIND, EITHER EXPRESS OR IMPLIED. TRIDENT UNIVERSITY DISCLAIMS ALL OTHER WARRANTIES, EXPRESS OR IMPLIED, INCLUDING, WITHOUT LIMITATION, IMPLIED WARRANTIES OF MERCHANTABILITY, FITNESS FOR A PARTICULAR PURPOSE, TITLE AND NON-INFRINGEMENT AS TO THE INFORMATION, CONTENT AND MATERIALS IN THE SITES. TRIDENT UNIVERSITY DOES NOT REPRESENT OR WARRANT THAT THE CONTENT AND MATERIALS ON THE SITES OR THE SERVICES ARE ACCURATE, COMPLETE, RELIABLE, CURRENT OR ERROR-FREE. TRIDENT UNIVERSITY DOES NOT REPRESENT OR WARRANT THAT THE SITES OR THEIR HOST SERVERS ARE FREE OF VIRUSES OR OTHER HARMFUL COMPONENTS. NEITHER TRIDENT UNIVERSITYNOR UNIVERSITY EMPLOYEES ARE RESPONSIBLE FOR TYPOGRAPHICAL ERRORS OR OMISSIONS RELATING TO PRICING, TEXT OR IMAGERY. WHILE TRIDENT UNIVERSITY ATTEMPTS TO MAKE YOUR ACCESS AND USE OF THE SITES AND THE SERVICES SAFE, TRIDENT UNIVERSITY CANNOT AND DOES NOT REPRESENT OR WARRANT THAT THE SITES OR THE SERVICES ARE FREE OF VIRUSES OR OTHER HARMFUL COMPONENTS; THEREFORE, YOU SHOULD USE INDUSTRY-RECOGNIZED SOFTWARE TO DETECT AND DISINFECT VIRUSES FROM ANY DOWNLOAD. Trident University reserves the right to change or delete any and all Site Materials or User Content contained in the Sites and any Services offered through the Sites at any time without notice. Reference to any products, services, processes or other information, by trade name, trademark, manufacturer, supplier or otherwise does not constitute or imply endorsement, sponsorship or recommendation thereof, or any affiliation therewith, by Trident University. IN NO EVENT SHALL TRIDENT UNIVERSITY, ITS DIRECTORS, AFFILIATES, MEMBERS, EMPLOYEES OR AGENTS BE LIABLE FOR ANY DIRECT, SPECIAL, INDIRECT, INCIDENTAL OR CONSEQUENTIAL DAMAGES, OR ANY OTHER DAMAGES OF ANY KIND, INCLUDING BUT NOT LIMITED TO, LOSS OF USE, LOSS OF PROFITS OR LOSS OF DATA, WHETHER IN AN ACTION IN CONTRACT, TORT (INCLUDING BUT NOT LIMITED TO NEGLIGENCE), EQUITY OR OTHERWISE, ARISING OUT OF OR IN ANY WAY CONNECTED WITH THE USE OF OR INABILITY TO USE THE SITES, THE SITE MATERIALS, THE SERVICES, , THE INTERACTIVE AREAS, OR THE USER CONTENT, INCLUDING WITHOUT LIMITATION ANY DAMAGES CAUSED BY OR RESULTING FROM RELIANCE BY USER ON ANY INFORMATION OBTAINED FROM TRIDENT UNIVERSITY, OR THAT RESULT FROM MISTAKES, OMISSIONS, INTERRUPTIONS, DELETION OF FILES OR EMAIL, ERRORS, DEFECTS, VIRUSES, DELAYS IN OPERATION OR TRANSMISSION OR ANY FAILURE OF PERFORMANCE, WHETHER OR NOT RESULTING FROM ACTS OF GOD, COMMUNICATIONS FAILURE, THEFT, DESTRUCTION OR UNAUTHORIZED ACCESS TO THE UNIVERSITY’S RECORDS, PROGRAMS OR SERVICES. IN NO EVENT SHALL THE AGGREGATE LIABILITY OFTRIDENT UNIVERSITY, WHETHER IN CONTRACT, WARRANTY, TORT (INCLUDING NEGLIGENCE, WHETHER ACTIVE, PASSIVE OR IMPUTED), PRODUCT LIABILITY, STRICT LIABILITY OR OTHER THEORY, ARISING OUT OF OR RELATING TO THE USE OF OR INABILITY TO USE THE SITES, THE SITE MATERIALS, THE SERVICES, THE INTERACTIVE AREAS OR THE USER CONTENT EXCEED ANY COMPENSATION YOU PAY, IF ANY, TO THE UNIVERSITY FOR ACCESS TO OR USE OF THE SITES. IF YOU ARE A STUDENT, YOU ACKNOWLEDGE THAT NO PORTION OF YOUR TUITION SHALL BE CONSIDERED COMPENSATION PAID FOR ACCESS TO OR USE OF THOSE SITES ACCESSIBLE TO STUDENTS AS PART OF THEIR PROGRAM OR COURSE OF STUDY. These Terms of Access and Use and your use of the Sites, the Site Materials and the Services (except as otherwise may be provided with respect to Third Party Applications) shall be governed by and construed in accordance with the laws of the State of California applicable to agreements made and to be entirely performed within the State of California, without resort to its conflict of law provisions. You agree that any action at law or in equity arising out of or relating to these Terms of Access and Use (except as may be provided with respect to third party copyright complaints) shall be filed only in the state and federal courts located in the County of Orange, California and you hereby irrevocably and unconditionally consent and submit to the exclusive jurisdiction of such courts over any suit, action or proceeding arising out of these Terms of Access and Use. Notwithstanding anything to the contrary in these Terms of Access and Use, Trident University reserves the right, without notice and in its sole discretion, to terminate your license to use the Sites, the Site Materials, the Services or any portion thereof, and to block or prevent your future access to and use of any of the Sites, the Site Materials or the Services. If any provision of these Terms of Access and Use shall be deemed unlawful, void or for any reason unenforceable by a court of competent jurisdiction, then that provision shall be modified by such court to the minimum extent necessary to make such provision enforceable and, if such modification is not possible, such provision shall be deemed severable from these Terms of Access and Use and shall not affect the validity and enforceability of any remaining provisions. Questions or comments about the Sites may be directed to Trident University by using Trident’s contact form or one of the numbers provided on the contact us page. Argosy University has partnered with Trident University to offer students educational opportunities through exceptional service and affordable, flexible, high quality, innovative academic programs. Through its regionally accredited associates, bachelors, masters, and doctoral programs, Trident University can help you meet your personal and professional goals. 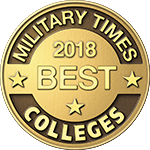 With a rich tradition of serving the busiest of working adults, the women and men in military service, Trident is uniquely positioned to serve individuals who have to balance family and work commitments while striving to earn a quality education. A quality education now comes at an affordable price – up to 10% off standard tuition rates. Offering 100% online courses with 22 degrees and over 60 concentrations to choose from, there is an ideal program for almost all working professionals. Our learning model focuses on real-world problem solving to better prepare for today's workforce demands, rather than reaction and repetition. Our courses are structured to support and encourage progress; at the same time, students have the flexibility to manage their own schedules. Students develop critical-thinking and problem-solving skills to enhance their careers and personal development, all at an affordable price. 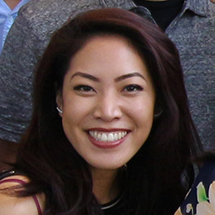 An associate degree prepares graduates for entry-level positions in their field and prepares them to transfer into bachelor-level programs at Trident with junior standing. Our mission is to produce highly competent, ethical, caring professionals who can both manage and effect positive change in organizations and systems. Start your academic journey with Trident. With an inclusive online learning community, responsive and attentive faculty, and monthly start options – our online bachelor degree programs provide convenience without sacrificing excellence. These programs require 120 credits for degree completion. You must have a high school degree or equivalent to qualify for admission. See our course catalog for a full list of course options and descriptions. Our online master programs require between 36 and 48 credits for degree completion. You must hold a bachelor degree from an accredited college or university in a related field and have a minimum GPA of 2.5 to qualify for admission. See the Trident University Catalog for full descriptions of all certificate course offerings. These are academic research programs and require written and oral qualifying exams / dissertation and oral defense for Ph.D. program completion. You will be required to complete doctoral research method courses, theory courses in your field, and electives in your selected area of concentration. 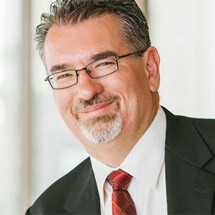 Trident also offers a Doctor of Business Administration (DBA) and Doctor of Education (Ed.D.) degree. These are post-master professional practice degrees designed for the working professional. The coursework focuses on knowledge, skills, and dispositions needed by practicing leaders in business and education. Trident offers a variety of certificates and diplomas from their professional development programs. These programs are geared toward individuals looking for a career change, new skill sets, or simply looking for career advancement. 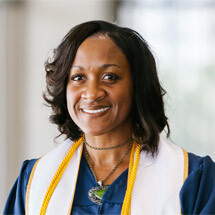 Trident’s programs focus on professional development in both business and health sciences. 100% online courses – anytime, anywhere access! Why Trident? A Dynamic Learning Environment. Regionally accredited, Trident University is made up of three key differentiators, that creates a dynamic learning approach like no other. This video will provide you more details and of course please feel free to contact us to get more information. Trident University welcomes you to explore the possibilities of taking your academic journey at Trident, a regionally accredited online school. Whether you seek to earn an online Ph.D., DBA, Ed.D., associates, bachelors or masters degree, our online university courses can help you achieve your educational aspirations. 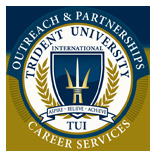 Trident University is the first 100% online university accredited by WASC Senior College and University Commission. Regional accreditation is widely considered by experts as the gold standard and Trident shares this distinction with other top schools including Harvard, Berkeley, Stanford, USC, Notre Dame, San Diego State, UCLA and others.